Some readers may have experienced after changing motherboard in Windows XP it will go to bluescreen of death(BSOD). Fear not my friend this tutorial will allow you to change motherboard without reinstalling Windows XP or doing recovery. If you just replace graphics card, network card or sound card there should be no problems. After you reboot, Windows XP will detect new hardware and then you simply insert the CD driver then the installation process is complete. 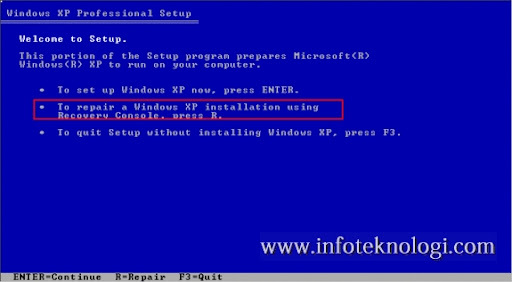 Tutorial to change motherboard without reinstalling Windows XP or doing recovery. Insert Windows XP CD, restart the computer, enter into Bios configuration and set your computer to boot from CD. You will be asked to enter the Administrator password, enter the password; but if you do not set any password just press Enter. 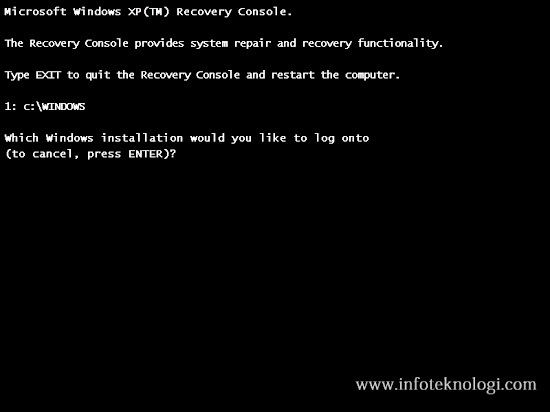 Type Exit to exit the Recovery Console and restart your computer. You can do the solution above without using Windows Recovery console, but by moving the hard drive to another computer or boot it with another OS (Windows 7 / Linux) or use Hiren Boot CD. All you have to do is copy the file 'system' in the folder "c:\windows\repair\" and overwrite the folder "c:\windows\system32\config\system"
Note: For Windows 7 you do not have to do this, because Windows 7 will automatically reinstall drivers if you replace the motherboard or processor without having to experience the Blue Screen of Death.